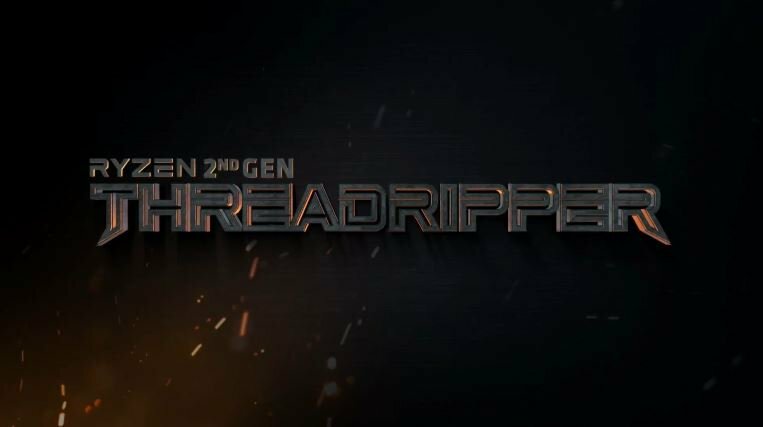 AMD has mistakenly listed the Cinebench benchmark performance numbers of their upcoming flagship, the 32 core Ryzen Threadripper 2990WX processor. 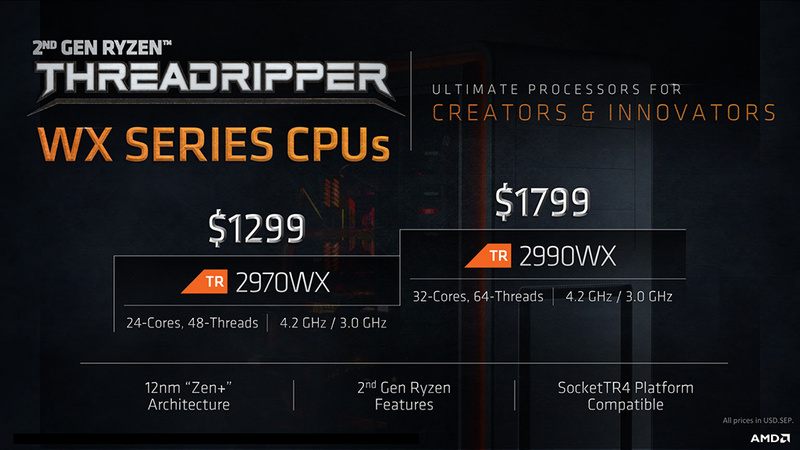 The AMD Ryzen Threadripper 2000 series is expected to hit markets in about a week or so and while we got to see it’s specifications and prices a few days ago, the performance numbers are yet to be revealed. Tests performed by AMD Performance laboratories on 26/06/2018 on the following system. The configurations may vary by PC manufacturer, and give different results. The results may vary depending on the driver versions used. Test setup: TR4 motherboard with AMD “Whitehaven” socket X399 + AMD Ryzen ™ Threadripper ™ 2990WX + Gigabyte X299 AORUS Gaming 9 + Intel Core i9-7980XE. Both systems feature a GeForce GTX 1080 graphics card (driver 24.21.13.9793), 4 x 8 GB DDR4-3200, Windows 10 x64 Pro (RS3), Samsung 850 Pro SSD. “Power” is defined as computing power as represented by the Cinebench R15 processor benchmark. 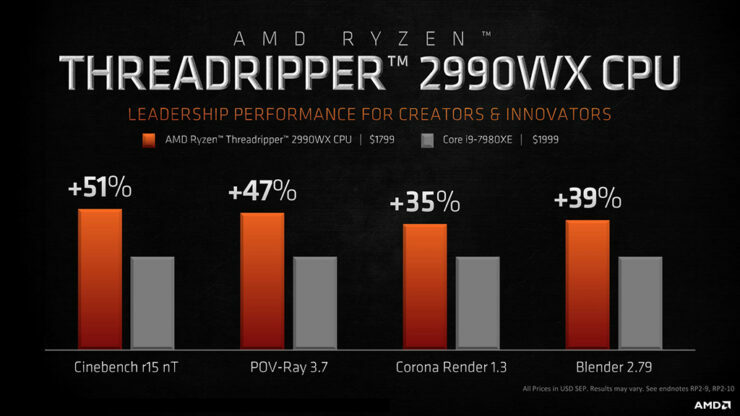 The Intel Core i9-7980XE earned 3,335.2 points on average in the benchmark, while the AMD Ryzen ™ Threadripper ™ 2990WX achieved 5,099.3 on average, or 5,099.3 / 3,335.2 = 153%) 53% faster than the Intel Core i9-7980XE. RP2-1. The results were compiled in late June on an X399 testbed which was running one of the early samples. The final results were that the AMD Ryzen Threadripper 2990WX system scored about 5009.3 points while the Intel Core i9-7980XE system scored around 3335.2 points. This is a 53% performance lead for the AMD system and knowing how early this score is from, we can only expect the final retail chips to perform even better.